When car manufacturers inadvertently develop a model that achieves iconic status within its own life cycle, inevitably it proves difficult to replace it. Peugeot’s 205 was one such car. Launched nearly three decades ago, the 205 rejuvenated the French marque’s range, with its pert, Pininfarina-penned hatchback body, new corporate grille and potent GTI performance flagship. It is highly regarded as one of the definitive cars of the 1980s. Peugeot chose to replace the 205 with two ranges; the smaller 106 and larger 306, both of which were praised at launch but compared with the plaudits heaped on their common predecessor, it was feint. It wasn’t until 1998 that the directl replacement appeared in the form of the 206 and whilst it proved to be an enormous commercial success, notching up 7.7 million global sales (of which 645,000) were in the UK, it failed to capture the heart like the 205 did. 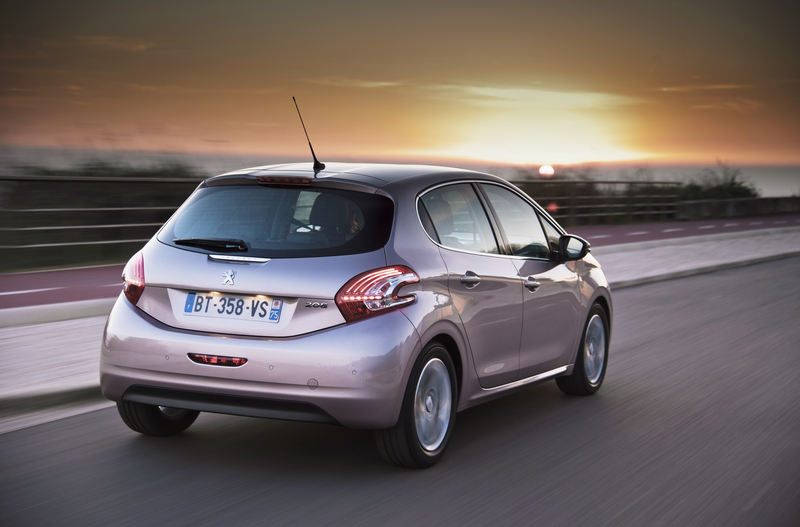 The portly 207 barged its way onto the market in 2005 and whilst sales proved respectable, they were considerably below Peugeot’s own expectations, the model currently occupying fifth position in the ‘supermini’ B segment of the UK market. 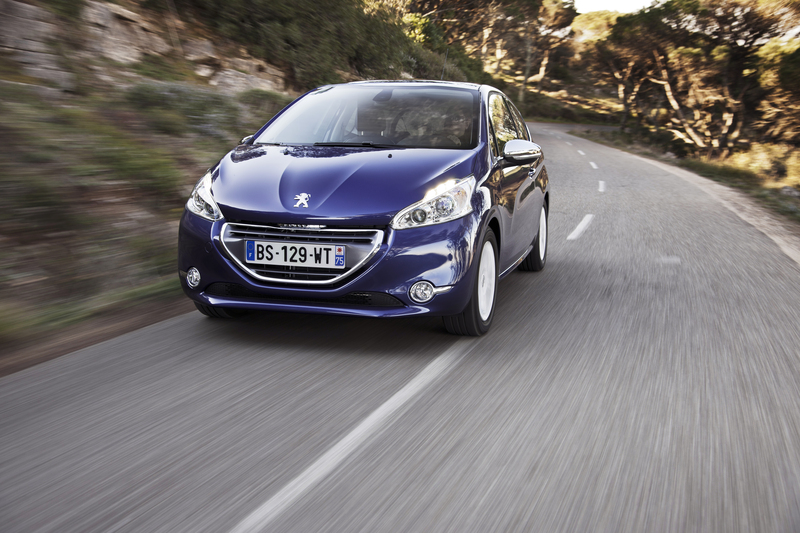 After much soul-searching and what Peugeot refers to as ‘re-generation’, 2012 brings what the brand hopes to be its most definitive replacement yet for its small car icon, the 208. 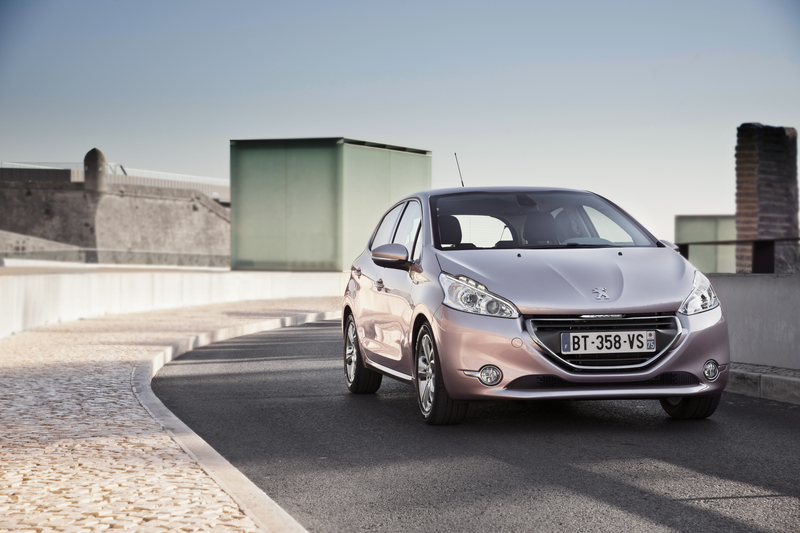 The 208 looks cutesy and glitzy from the outside – what are they hoping to achieve? Peugeot has bold and lofty ambitions for the 208, citing a target of 550,000 sales per year from 2013 when it’s available globally, although European sales will remain central to its performance. According to the firm’s upper echelons of management, the 207 failed to deliver as much as was promised because of its size and masculinity. Being over 4m long it was interpreted by some customers as approaching a C-segment sized family hatch rather than a supermini, whilst the lardier, aggressive aspects of the styling didn’t capture female buyers’ imaginations much either. The 208 is deliberately softer and more passive in its appearance, with a plethora of design touches that generally work coherently without looking overly busy. Up front is a floating grille, much smaller (thankfully) than Peugeots of late, its reduced size not only easier on the eye but also representative of the 208’s reduced consumption of fuel and eco-friendliness. Above sit distinctive, triangular headlights, incorporating the mandatory day running lights, which gently carve into the bonnet shut line, giving the 208 a characteristic identification both in daylight and in the dark. Dominating the bonnet is a broad central crease that continues across the spine of the car before flattening out just below the rear windscreen. Both 3- and 5-door versions share common architecture but the side aspects of the styling differ: the more practical of the body styles, expected to account for 75% of 208 sales, features a soft ridge that extends forwards from the rear light units culminating at the front door handles; the sportier 3-door’s crease continues beyond that, before curving down and returning to the rear in a more dramatic effect. 3-door 208s also pay homage to the 205 with a chrome cap that protrudes from under the window line aft of the rear side glass, reminiscent of the plastic trims on its forebear’s rear quarter panels. The rear end is simpler, the Peugeot name sitting proudly on a bright plinth beneath the rear window and LED heavy rear lights displaying a ‘three claws’ graphic of red strips of light. It’ll surprise you to learn that I’m not a close follower of French fashions and trends (no, really, I’m not) but many instantly notice the increase in chrome-look appliqués fitted to Gallic cars of late. The 208 doesn’t miss out on the brightwork party. That said, it’s less heavy-handed in application here than on Citroën’s DS-series but its more noticeable than on the Fiesta and Polo, the two chief rivals Peugeot has clearly in its crosshairs. Whether the bejewelled look will tempt female buyers back into the fold remains to be seen. 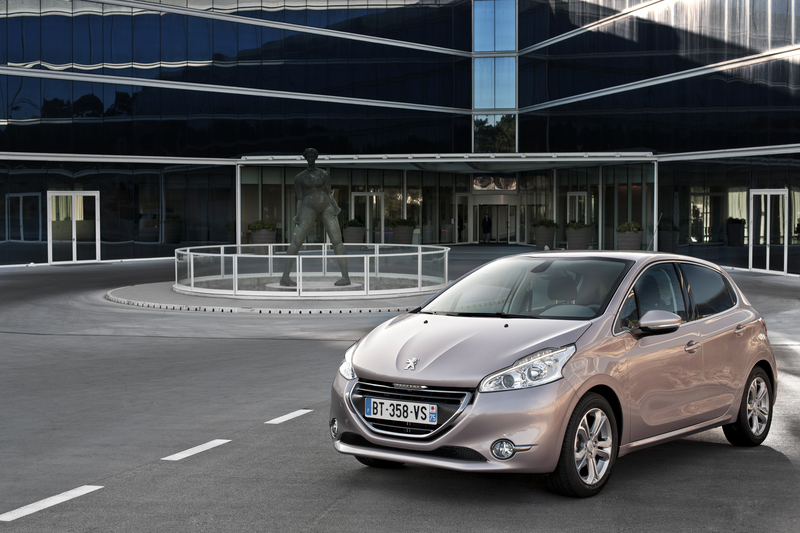 Not only does the 208 appear to be lither and more compact than the 207 it supersedes, it is. Here is that rarest of new car phenomena of a model being lighter and smaller than what came before. That said, the 208’s still significantly bigger than the 205 and 206 but it measures 7cm less in length than the 207, despite offering 5cm more rear seat space and 15 litres more boot volume on a common wheelbase of 2.54m. 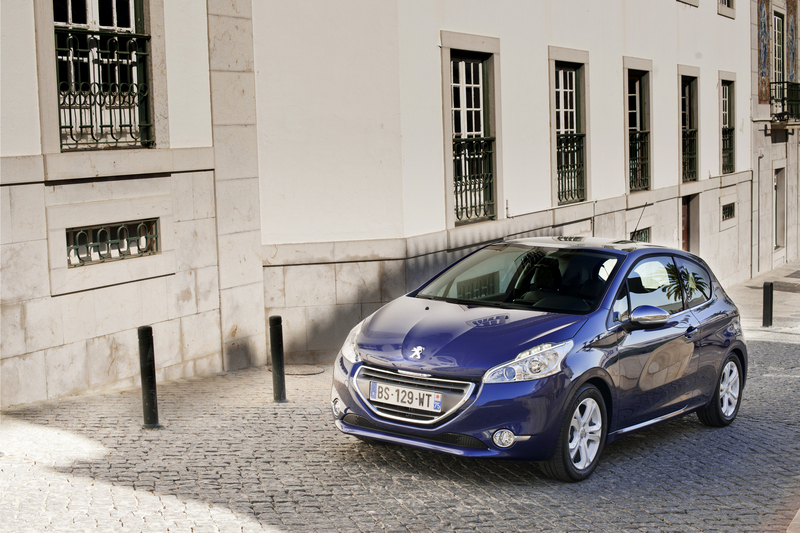 More spacious on the inside too – does the 208 feel roomy? Starting in the back of the 208, there is a definite sense of space that the 207 lacked. It’s not just psychological either because of a deeper window line and on higher specification Allure and Feline models a glazed roof; my knees barely touched the seatbacks in front. Two adults could travel a significant distance in the 208’s rear and not feel like contortionists at the journey’s end. But it’s in the front where Peugeot’s ‘re-generation’ with the 208 is especially evident with a totally different cabin architecture than anything else in this class. At first glance it appears conventional with a binnacle of instruments set directly in front of the driver, but sit at the wheel and you realise that not only are the dials sat a long way in front of you, nearer the base of the windscreen, but you actually look at them over the top of the steering wheel, rather than through it. Then there’s the wheel itself, smaller in diameter and with a chunkier rim than any other supermini, you hold it lower than recent convention dictates, the base of the wheel sitting closer to your lap. Familiarisation with this distinct driving position takes no time at all, despite it sounding initially odd, and further reinforces the sense of space in the cabin as the main horizontal beam of the dash is also much further forward. 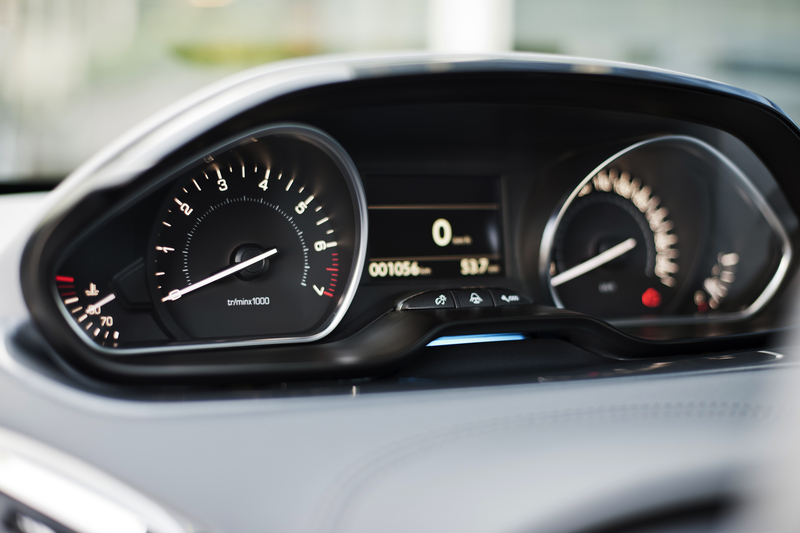 Reducing switchgear clutter further is an intuitive ‘Connect’ touchscreen in the centre of the dash for controlling the infotainment functions in the 208. It’s an impressive looking and easy to use smartphone-esque arrangement that can be customised with downloadable apps. 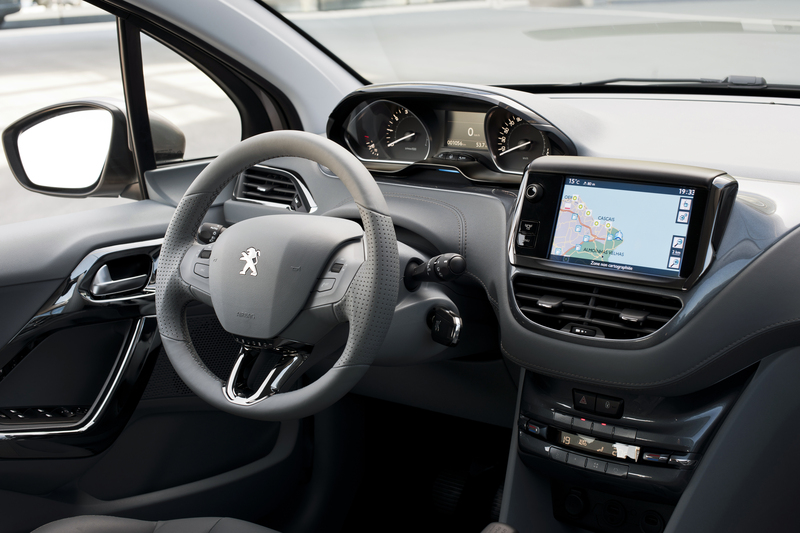 Peugeot estimates that 80% of all 208s will come equipped with the Connect system, with integrated satnav a £400 option where it’s not standard. Peugeot’s enormous strides in perceived interior quality continue with the 208 too, chromed embellishments adorn the cabin, as do metallic finish plastics and leather-look surfaces on the higher specification models tested. Nevertheless, small cars need to be competitively priced which in turn means expensive soft-touch plastics are few and far between, but it feels well-constructed with tight panel gaps; whether it will have a positive effect on the marque’s performance in reliability surveys remains to be seen. How’s the 208 out on the road – has the 205’s magic been recreated? Running the risk of sounding sacrilegious to worshippers at the 205 altar, but let’s not forget that however good the 205 was in its day, the way cars handle, steer, accelerate and brake has leapt forwards in those passing years. 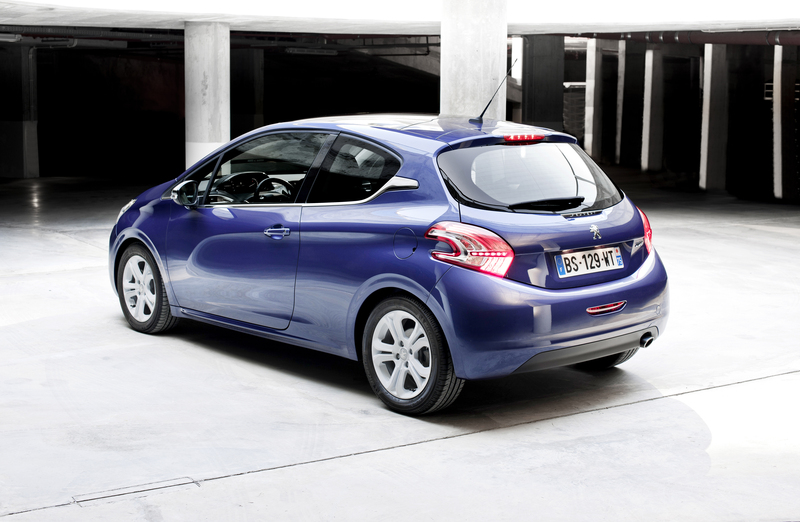 But, what the 208 does convey much better than the 206 and 207 ever could is a sense of fun and driving enjoyment. Around the highways and mountain roads in the Lisbon area Peugeot chose for the test route, the steering was particularly noteworthy. That smaller, chunkier wheel responds much more precisely to even the smallest of inputs, turning in crisply and cleanly, gripping well to promote a positive chuckability as the 208 is wound around bends. It’s a boon around tight, built up streets and initially feels a tad too sensitive on motorways, but you intuitively alter your driving style. Stability and composure on the smoother, faster sections of road also impressed, imbuing the feel of a much larger car than the 208’s sub-4m length suggests. The effect encourages you to press on and make swift progress without any leanings of sportiness compromising the ride comfort. Less compliant is the urban ride over rougher surfaces. It’s not so jarring you’ll have an osteopath on speed dial, but the initial harshness of the bumps through the chassis is disappointingly noticeable to all occupants. Cheaper 208s on higher profile tyres may be less prone to this complaint. Peugeot has already shown a 208-based GTI concept and senior figures at the marque confirm that not only are they investigating a production possibility but that there’s a belief the 208’s chassis provides a sound basis for a high performance version – as yet though, nothing is confirmed on the hot hatch front. Petrol or diesel – which seems to be the one to go for? With 120bhp, the petrol 1.6-litre sounds as though it should be a reasonably brisk and smooth member of the 208 family, but out on the road it lacks lustre. At low speeds it remains quiet but provides little in the way of immediacy as you progress up through the gears, sounding somewhat coarse when cruising at motorway speeds. Such is the underbonnet noise you feel yourself trying to snick it into sixth gear, which it doesn’t have. Despite the additional expense, the turbocharged THP unit with 156bhp provides near identical fuel consumption in a faster package overall (0-60 in 7.3 seconds versus 9.9). The 115bhp diesel with stop-start technology is a much more obvious choice of motor for the 208, despite the additional cost at the fuel pumps and in the showroom. Significantly more economical, free from road tax, fuel saving measures such as the engine cutting off at 12mph rather than when you’re at a complete standstill, already sound like strong arguments, but it’s even better on the road too. Lots of low-end torque ensure fine acceleration with barely any perceptible diesel clatter and the addition of a sixth gear makes it a fine companion both in town and on motorway trips. Performance figures are in line with the petrol model too. There’s no doubt that the 208 is a significant leap forward in almost every respect over the 207 before it, looking and feeling more special as well as being a better drive. Its styling and interior features give it showroom lustre to appeal on equal footings to the market leaders from Ford and Volkswagen leading you to appreciate Peugeot’s confidence that it can recapture the number one sales position for superminis in Europe. Initial impressions are of a very competitive small hatchback that definitely has fun dialled into the handling set-up with a strong diesel motor at the top of the range. A clearer picture will emerge when the 208’s tested on British roads, with the smaller engines – I’ve a sneaky suspicion that 1.0- and 1.2-litre triples might be the gems of the range. 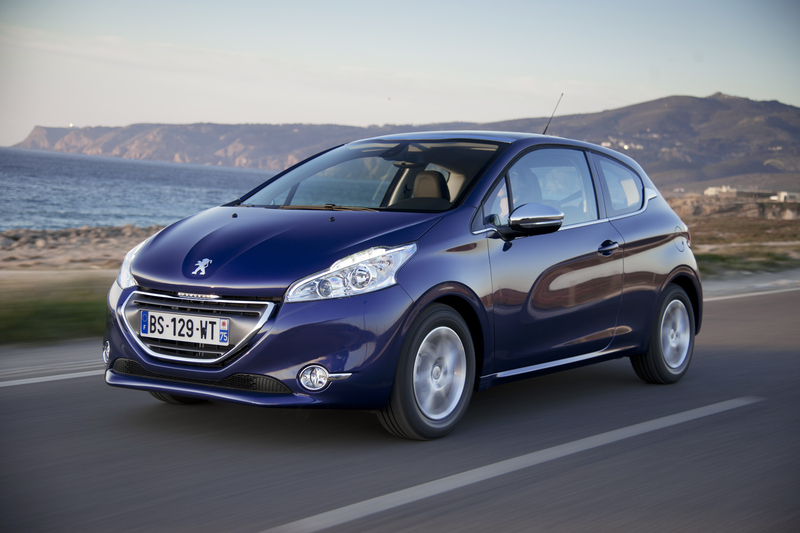 Prices are due to revealed in April ahead of the June on sale date, Peugeot promising they’ll be competitive. For those of you considering buying a small car in the summer, a visit to your local Peugeot showroom is a must – something that’s not been said with confidence for some time.